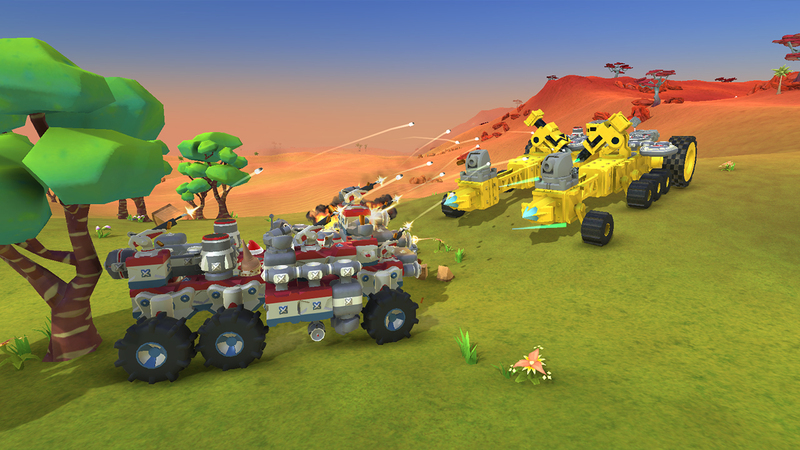 TerraTech — designer sandbox in which the player creates their own machines to fight with the machines of the enemy. Your task is to collect resources, but the problem is that not only you are going to do this. That is why you need to create the best mechanism that will give you an edge over others during a battle. A flexible, but not complicated construction system allows you to create everything you want. During the battle, with the destroyed enemy, you can pick up valuable details, and then apply them in their designs. From what will be your car, will depend on the style of play. You can create a fast fighter, which will crumble after a serious hit by the enemy, or you can create a bulky tank that will be targeted from a distance. 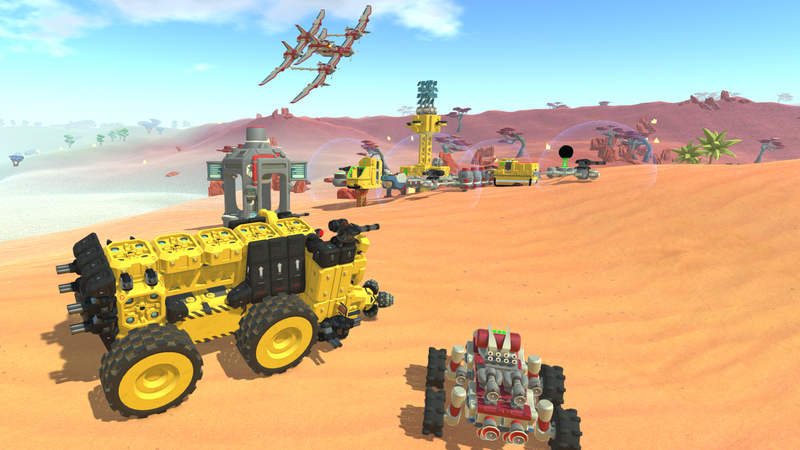 Sandbox with elements of the designer, where you have to create a different kind of machine. Go to a distant space to explore the planets, which keep a lot of secrets and unsolved secrets. Collect useful items and the necessary resources in the construction, and do not forget about creating powerful weapons, because there will be plenty of enemies everywhere. The tablets will be inhabited by hostile species, which is not so easy to cope. To create a transport at your disposal will be a large number of all kinds of parts. Also, you can equip all your constructions with powerful weapons. 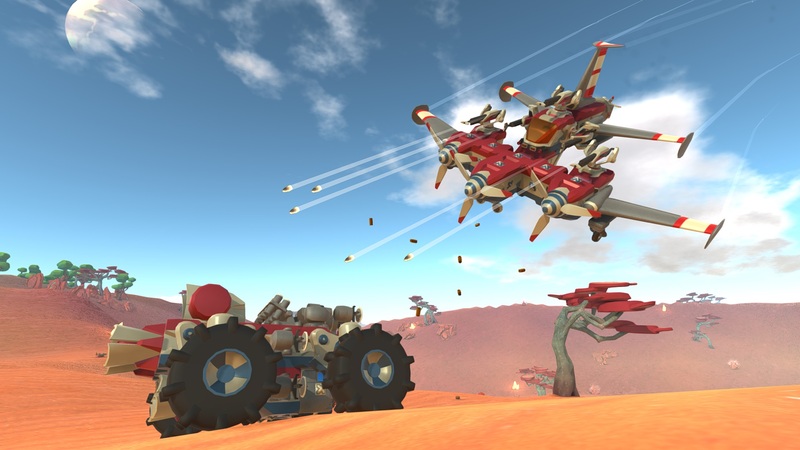 In the game you will fly to the planet, where you will get items that are useful in use, and then sent to send to Earth. Many competitors are around and each corporation is trying to force out another. This game has been updated Yesterday, 05:47 to the latest version v1.1.0.1. Fixed bug preventing Crafty Business II mission from being completed if the player chooses to craft something else. Fixed bug with Craftier Business mission due to conveyors not pushing resources correctly. Fixed issue with text strings in Tech Loader not appearing correctly when no snapshot is selected. Fixed bug preventing the options menu from being exited if opened while the Tech Loader is open. Fixed bug causing camera control to be disabled when entering "View Tech Blocks" on the Tech Loader. Fixed bug allowing blocks from a Tech being sent as an invader to be pulled off. Fixed issue with enemy Techs not attacking the player. Fixed issue with most turrets incorrectly being friendly instead of enemies that attack the player (including the ones in R&D Test Chamber). Fixed graphical glitch causing a large shadow to appear on the ground before enemies drop down. Fixed bug causing the playback of certain sound effects (e.g. propellers, fans, Better Future lasers) to stutter or not play at all. Hover sound now plays correctly on the Better Future eCab. Checkpoint gates for the Better Future race missions now have correct collision. Fixed repeating message in Better Future aniti-gravity track mission. In multiplayer modes, "Press R to rename" is now disabled. In Co-op Creative, Techs are now prevented from spawning too close to each other. In Co-op Creative, loose blocks beyond the red wall are now repelled back into the play area. In Co-op Creative, Techs loaded from the Tech Loader can no longer be placed beyond the red wall. In Co-op Creative, Techs can no longer anchor themselves beyond the red wall. In Co-op Creative, fixed crash when quitting while holding a block. Fixed bug where certain hotkeys function while typing in a chat box. Fixed issue when splitting a Tech into multi-Techs using explosive bolts, causing wheels to partially fall through the ground.